The purpose of the loan is to make available financial assistance to the needy and deserving students of bright academic record so as to enable them to continue higher studies in India or Abroad either in diploma/graduation or post-graduation level in Arts, Science, Commerce, Management, Medicine and Engineering. Under this scheme the loan can be sanctioned to any student of Indian nationality who intends to join any of the approved courses in an Educational Institution recognized by the government or any University in India or Abroad. 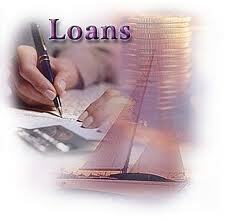 The loan account shall be operated as a term loan. To facilitate flexibility in operation, future debits on account of recurring expenses in each semester/year can be made to this account. The margin is NIL for courses in India . For foreign studies a minimum margin of 10% is to be insisted on. The period of the loan consists of the period required for the completion of the course and that meant for repayment of the loan. The repayment should begin within 12 months on the completion of the course or after the student secures employment whichever is earlier.